For the last two years I have written of the annual letter of the Cuban Council of the High Priests of Ifá (Consejo Cubano De Sacerdotes Mayores De Ifá), the practitioners of traditional religion brought over from West Africa with the slave trade and now naturalized as a powerful indigenous religion throughout the Caribbean and growing in the United States. (e.g., Religion, Social Norms, and the State--The 2013 Letter of the Sacerdotes Mayores de Ifá of Cuba, Law at the End of the Day, Jan. 2, 2013; Religion, Social Norms, and the State--The 2012 Letter of the Sacerdotes Mayores de Ifá of Cuba, Law at the End of the Day, Jan. 3, 2012). The Consejo Cubano De Sacerdotes Mayores De Ifá just released their annual letter for 2014; Letra del Año 2014 (On the history and purpose of the letter in Nigeria and the New World). These annual letters suggest the nature of divine will and advice for a propitious year ahead. It serves the state the way all priestly interventions are meant to--advice, connection with the divine, and authoritative means of conveying the appropriate forms of responding to events. Because these indigenous religions ought to be accorded equal dignity with the religions brought to the United States by other immigrant communities, I thought it useful, as we contemplation the New Year's messages of the world's religious leaders (e.g., Message of HIs Holiness Francis for the Celebration of the World Day of Peace, 1 Jan 2014 ("it is easy to realize that fraternity is the foundation and pathway of peace. ")), that we ought to heed these messages as well. This year's advice for Cuba is particularly interesting and in some respects quite sophisticated. They are grounded in part on the most influential aspect of divine connection for the year--the orisha Yemanyá, who is the essence of the ocean and of motherhood, and a fierce protector of children. Her name is a shorthand of the Yoruba "Yeye omo eja" that mean "Mother whose children are like fish." In Cuba Yemamyá is syncretized with Our Lady of Regla. The influence of Yemanyá is bounded by another powerful orisha this year--Eleggua--usually depicted as a child (el niño de Atocha for example) and associated with communication and the control of the crossroads (fate); the orisha who must be invoked before anything can proceed, transpire or succeed in the world., but also a trickster. Together these orisha's frame the advice for the year. The 2014 message (refranes del signo) is organized as four that suggest transitions, reversals, and the danger of overreaching. (the butterfly that seeks to fly before its time will have its wings burned; I have everything and need everything; God gives beard to those without hair; and a king will die as a prince is crowned). Those are particularly interesting in the Cuban context for which it is focused. More importantly perhaps are the notions of the emptiness of one's desires, which can amount to precisely what one did not want. This is in marked contrast to the 2013 message (refranes del signo) is organized as three sayings or proverbs: (1) appearances will be deceiving; (2) on earth there will be an absence of divine justice; and (3) that which appears to be (or figures as) substantial or important is not and that which does is not. The major 2014 annual undertaking involves literally unity and conflict among contradictions, separation and discord, and the tidal wave of irresistible forces). This accords with the proverbial insifghts for th eyear that suggests the illusion of earthly activity. The recommendations that follow expand on these more oracular pronouncements. 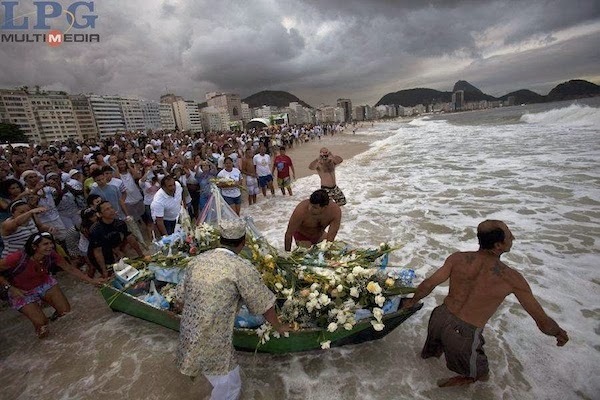 They focus on religious harmony, and on the dangers of physical events involving weather related to the ocean. This will be a difficult age for the brotherhood at the top of the message fo Pope Francis. Xin Fang Reform in the Wake of the 3rd Plenum?